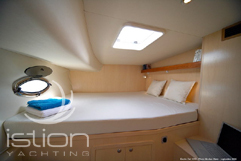 Following the success of the EXCITECAT 810, Costa Blanca Catamarans has now introduced a larger version of this power catamaran in the EXCITECAT 1010. 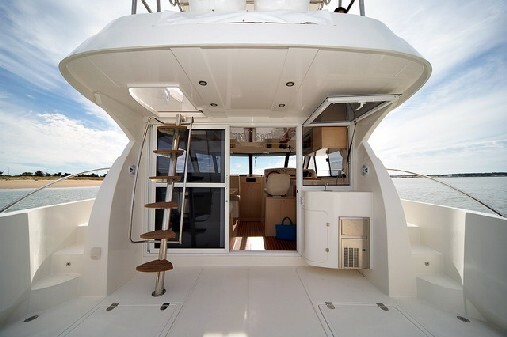 The EXCITECAT 1010 is some 5 feet longer than the 810 - 32' long and 14' beam. 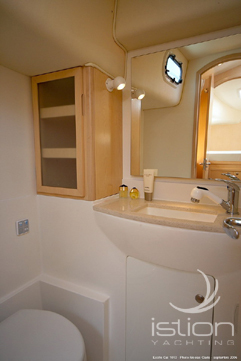 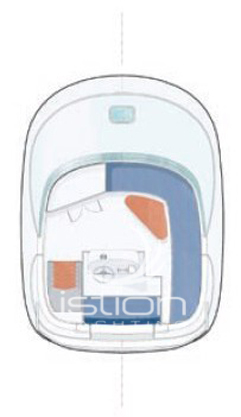 The layout of the 1010 is similar to the current 810 model but with a little more elbow room everywhere and includes a full inside steering station, galley, two private double cabins with a well-proportioned head and shower compartment to starboard and an optional head and sink on port side. 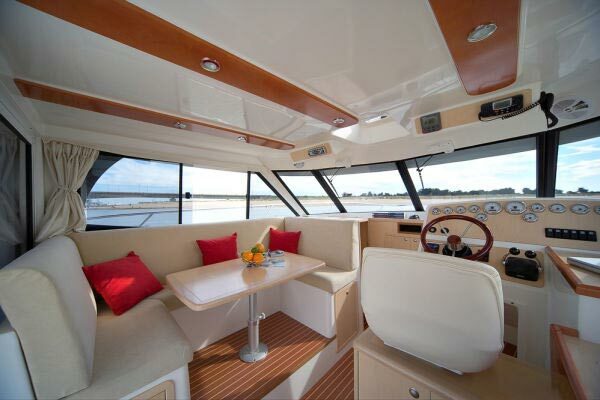 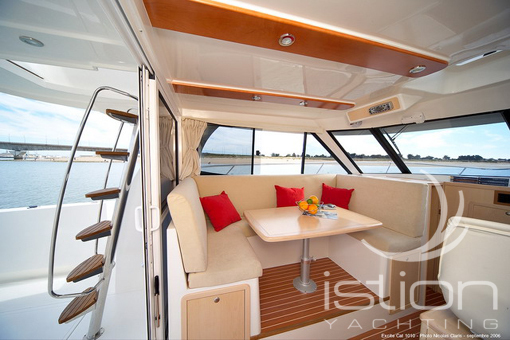 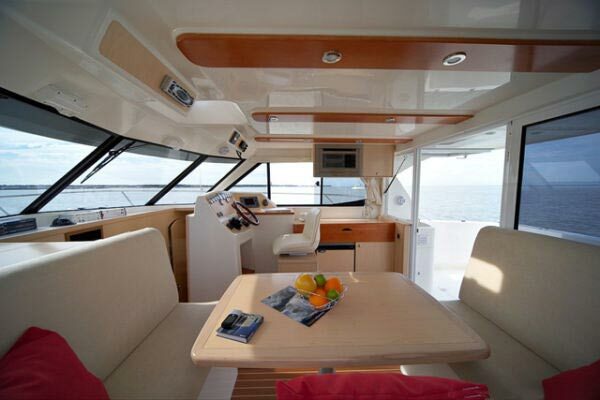 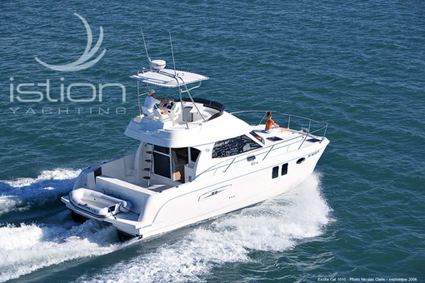 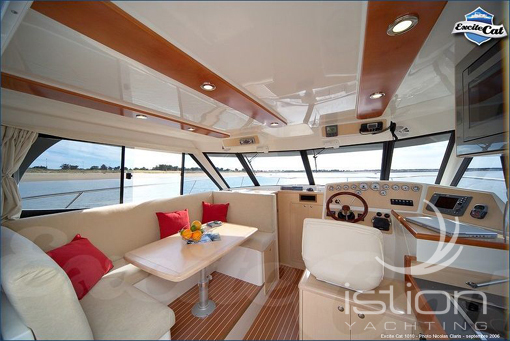 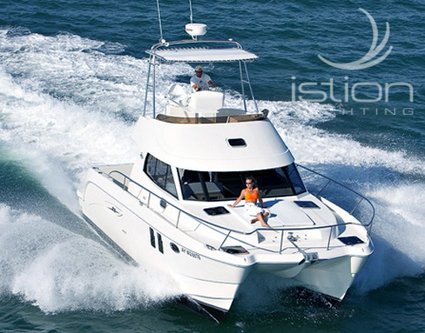 The cockpit is larger and features an integral wet bar, while the flybridge offers casual seating around a corner table in addition to the helm seating. 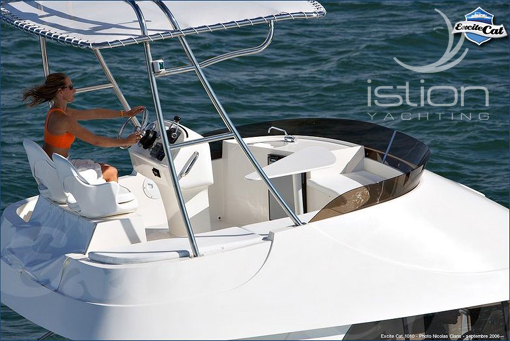 Engines are located further forward in the hulls and have straight shafts rather than V-drives. 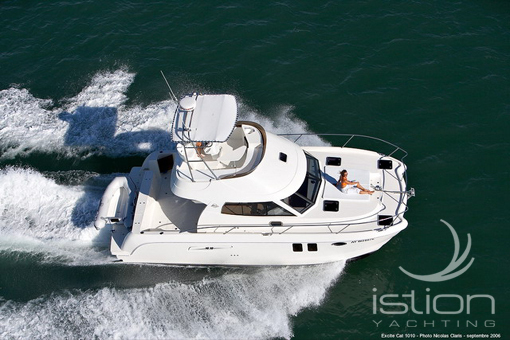 The EXCITECAT range was developed in the Mer et Design offices of the naval architect Philippe Subrero, world-renowned specialist in passenger catamaran design, and is built in Cartagena (southeast Spain, on the Mediterranean coast). 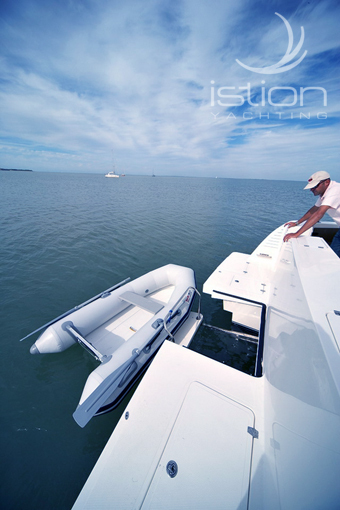 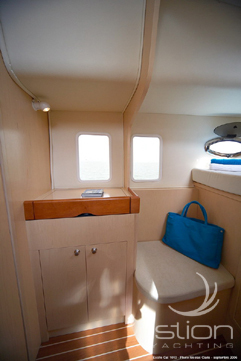 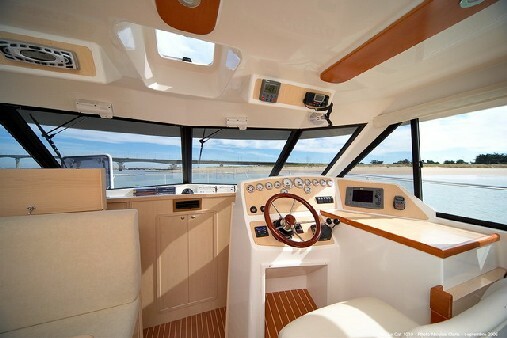 The aft cockpit layout is the perfect design for either cruising or serious fishing, and the swim platform offers additional safety and convenience, particularly with the optional dinghy handling system that lowers the central swim platform section into the water for dinghy launch and retrieval. 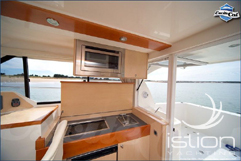 Galley : Gas stove & oven , Cuttlery - Kitchen equipment , Pans, plates, glasses, spoons, knifes, etc.